Anyone can make a nomination to the Oklahoma Hall of Fame, and nominees may be either living or deceased. Reside in Oklahoma or be a former resident of the State of Oklahoma. 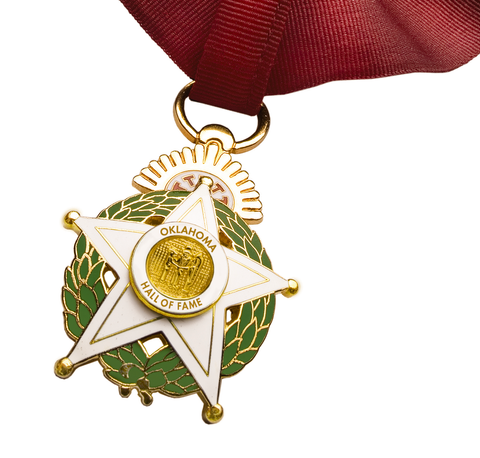 Have performed outstanding service to humanity, the State of Oklahoma and the United States. Have brought honor or distinction to the State of Oklahoma through their efforts and contributions. NOMINATIONS FOR THE CLASS OF 2019 ARE NOW CLOSED. Nominations for the Class of 2020 will open on Friday, May 17, 2019. Visit our archives to view all members of the Oklahoma Hall of Fame.